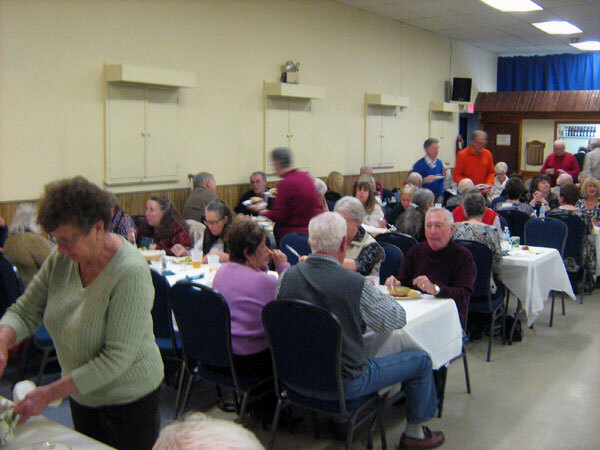 Munster United Church held a dinner-dance fundraiser on Saturday evening, 30 January 2016. 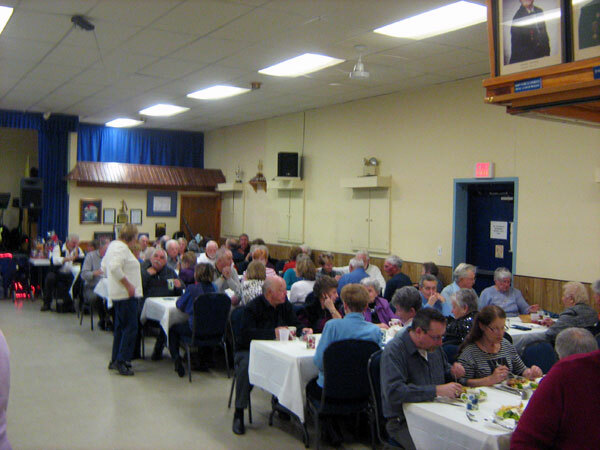 We were very fortunate to have the Richmond Legion location available and the Legion to allow us to use their facilities without charge. 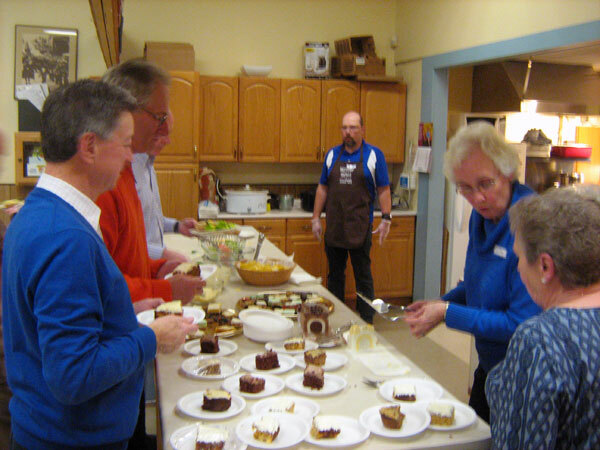 Also, Doug and Pam Champagne volunteered to help our fundraising and donated their time and talents. The evening was a success as we sold out all seats. The evening started with a chili dinner served with salad, rolls and squares and cake for dessert, and beverages. An added and well received touch was ice cream served with dessert. 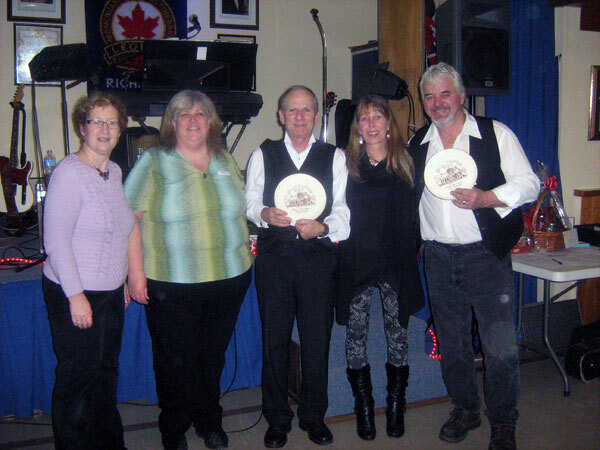 When everyone had all they could want to eat, Doug and Pam Champagne and Marc started their music. Within seconds, toes were tapping and heads nodding in time to the beat of the music. Within minutes, people were up and dancing on the dance floor. 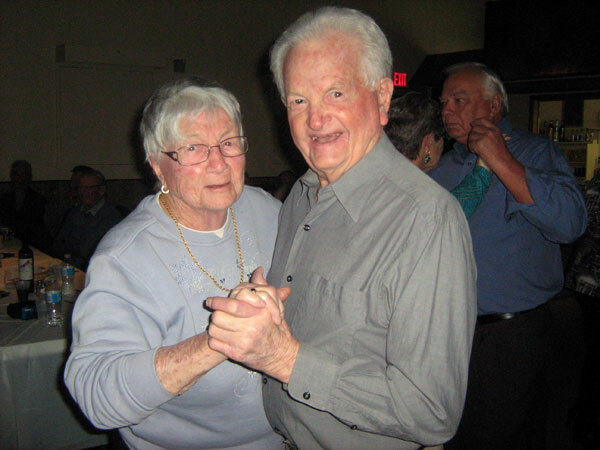 With great music to listen to and more great music to dance to, the dance floor was in use all evening. Friends and family sat together and caught up on news. There were people who hadn’t seen friends in more than 20 years and became reacquainted during the evening. If a dinner and dance wasn’t enough for the evening, there was also a silent auction. The organizing team of Liz Hale, Mary Tubman, Lynne Smith, Nancy Brown, and Waive Pearo in addition to arranging the use of the location, coordinating preparation and delivery of food, and arranging staffing and clean up crews, they approached local businesses and contacts to arrange donations for the silent auction. And those people who were approached, readily responded. A huge ‘Thank you!’ to each of our donor supporters for their generosity. We hope you’ll remember them as much as we do. Also a huge thank you to the workers of the dinner and dance who fed cooked the chili dinners, donated food, fed the guests, cleaned up plates and tables, kept the snack bowls fully stocked, washed dishes, and cleaned up at the end of the evening.